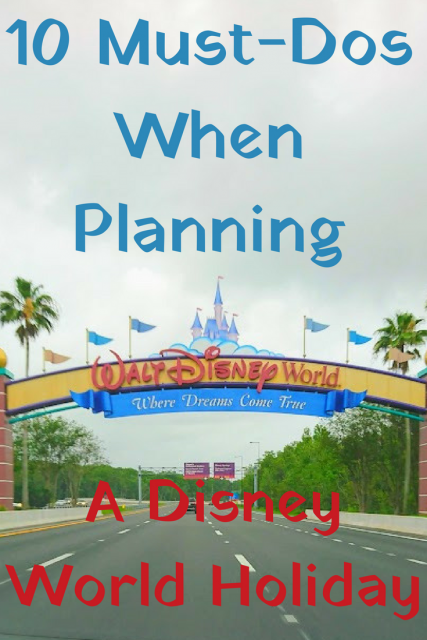 Share the post "10 Must-Dos When Planning A Disney World Holiday"
I’ve seen lots of comments about wanting to just go with the flow on a Disney World holiday, and that planning takes the joy out of it. Each to their own, of course, but my absolute top tip for this holiday would be to plan. It makes a huge difference once you are there, to your wait times, to everything that you get to see, and to your overall holiday. Plan it, research it, know your stuff! 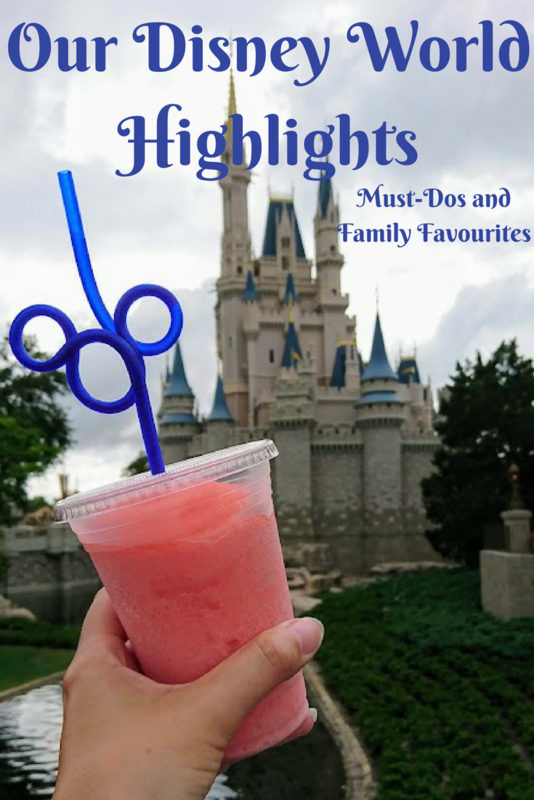 So today I am sharing my 10 Must-Dos When Planning A Disney World Holiday. These must-do tips are all assuming that you have already booked your holiday. If you want more advice around when to go, who to book with, where to stay and so on, I’d suggest checking on the trip planning forum over on The Dibb. I would definitely recommend staying on-site at Disney World, and I shared a few reasons why in this post. For me, I am a planner, so I enjoyed doing all of this anyway. It helped build anticipation of the holiday, and no, the build up didn’t over anticipate the fun we’d have, Disney World lived up to the hype! I cannot recommend enough to get some research done, as you’ll be able to see and do so much more when you’re over there then and I suspect it could greatly reduce a few stressful moments. So where to start? 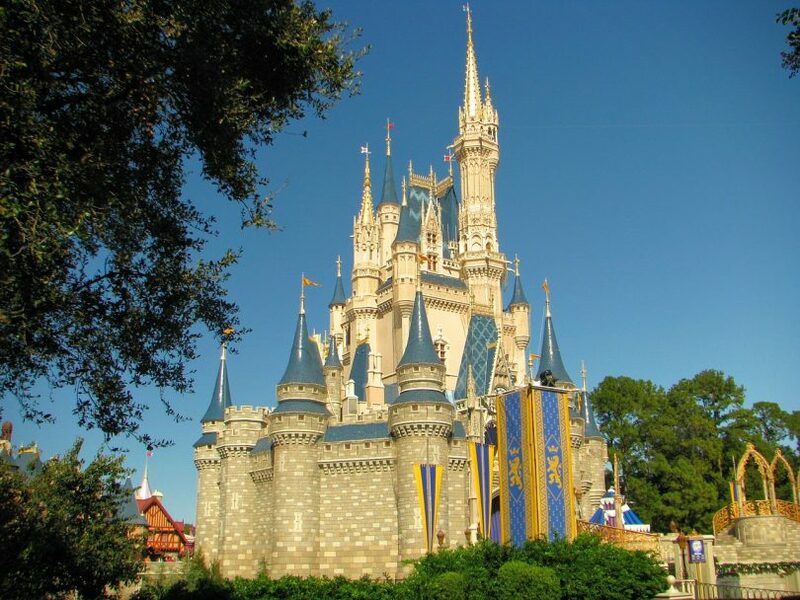 I’d go with these 10 must-dos when planning a Disney World holiday…. 1. Buy a guidebook. I would highly recommend this one, The Unofficial Guide to Walt Disney World with Kids 2018 , which I read so many times. It is packed full of useful information and details every park, every attraction, popularity of Fast Passes, park maps and so much more. Along with Disney World, it does have a small section at the back for the Universal parks, in case like us you’ve plans to visit those, too. 2. Watch YouTube vlogs to get a feel for the rides, the restaurants, the layout of the parks, and Touring Plans is a good one for planning the best order to move around the parks (I accept this may take planning too far for some, but believe me, it is hugely beneficial to reducing wait times). We watch loads of vloggers regularly, but if you want to start somewhere, go with The Tim Tracker and for food and restaurants, the DFB Guide. 3. Join relevant Facebook groups. For me, this included one for the resort that we were staying at and a general guide group for Brits going to Disney World, so search for any that will be of interest to you as there are lots out there. There are often people sharing their own trip reports and experiences in these groups and you’re bound to get loads of extra information that you don’t even know you’re taking in until you get there and it proves to be useful. 4. Get a My Disney Experience account and download the app. You’ll probably be recommended to do this by your booking agent anyway or Disney directly. This is where you can make lots of bookings, it details all of your plans, you can make Fast Passes through it, carry out mobile food ordering whilst you’re there, and it allows you to see wait times which is worth looking at a little before you go so that you get an idea of the most popular rides to help you plan when you’ll ride them. 5. Draft up an itinerary. It’ll probably change around once you are there, but having this as a starting point enables you to book restaurants if need be (ADRs – Advanced Dining Reservations) and your Fast Passes. It also means you don’t have to think too much about what you’ll do each day whilst you are there, you are up, ready and eager to get going and you know where you are going! 6. Consider busy day guides and Extra Magic Hours when planning where to go each day of your holiday, along with allowing time for rest and lie-ins. For example, if you are planning to watch the fireworks in Magic Kingdom on Thursday night, you might want to avoid early breakfast bookings or 9am FastPasses on the Friday morning. Extra Magic Hours are great to get along to for onsite guests as the parks are quieter so you’ll get lots done in that extra time. Any early start, whether it be EMHs or getting there for rope-drop (park opening) will be well worth it as it’s definitely quieter. Parks tend to really busy up from 11ish so it’s amazing how much you can do before then. 7. Every Disney World ticket comes with the ability to book three Fast Passes a day in advance (you can then grab more Fast Passes once these windows have passed whilst you’re there each day – definitely use this option!). A Fast Pass means that you can bypass the standby queue. Book these early. For on-site Disney guests this is 60 days in advance, 30 days for off-site guests. Make a note of this date in your diary and be ready to book them at midday UK time. I had done my research and drafted my itinerary so I knew which Fast Passes that I wanted each day along with the sort of times I wanted them for. It made this an easy process and hugely reduced our wait times once we were there. Some rides always have long waits, so if you want to ride those, do ensure you get them booked. There was many a time we were walking straight onto rides bypassing queues of over an hour, sometimes two. Do pay attention to the tier systems, too, when planning – it’ll make sense when you start looking into it, trust me! And book them back to back, no gaps if possible as then you’ll get through your initial three more quickly and can grab more, one at a time. Booking these is in no way compulsory, but unless you want to wait in long lines when you get there, you really need to do this. 8. Think about timings when you are making your plans. Utilise that early time for shorter lines, and then eat. The kids tended to have some cereals and fruit in our hotel room whilst we were all getting ready, and then we stopped for a breakfast snack (usually a cake!) at mid-morning to refuel us. This saved us eating breakfast at prime times for getting on the rides easily. Build this idea into your plans, around those bookings. 9. Ensure you build all must-dos and extras into your plans. We had a few restaurants and snacks we wanted to try so we ensured we knew where these were and noted them on our plans. There are also various seasonal parties and optional extras that you might want to see and do, so get those booked in where possible as some can be really popular, and add them into your itinerary. 10. Under-plan! Yes, I realise that this seems to be the exact opposite of all I have been saying, but bear with me a moment and I’ll explain. I did all of the above and would do so every time, so I definitely advocating planning. But what I mean is, assume that you’ll do less rather than more. My plans often had just a half day in a park built in, so extras were a bonus. Three Fast Passes a day, jumping on shorter queue rides and then maybe pool time or shopping. I had not expected my kids to do as many hours as they managed in parks and I had expected to only take in one nighttime show at best, but we saw four. We went with our plans and then added more in each day as and when we felt like it. We also moved Fast Passes around whilst there as we discovered which rides we loved and wanted to do again. Just be aware that some Fast Passes are difficult to get so this doesn’t work in all cases. For example, there was no way I was changing our plans when we had a Seven Dwarfs Mine Train Fast Pass booked in, as there was no chance of just grabbing another of those at a different time, or Flight of Passage – gold dust! 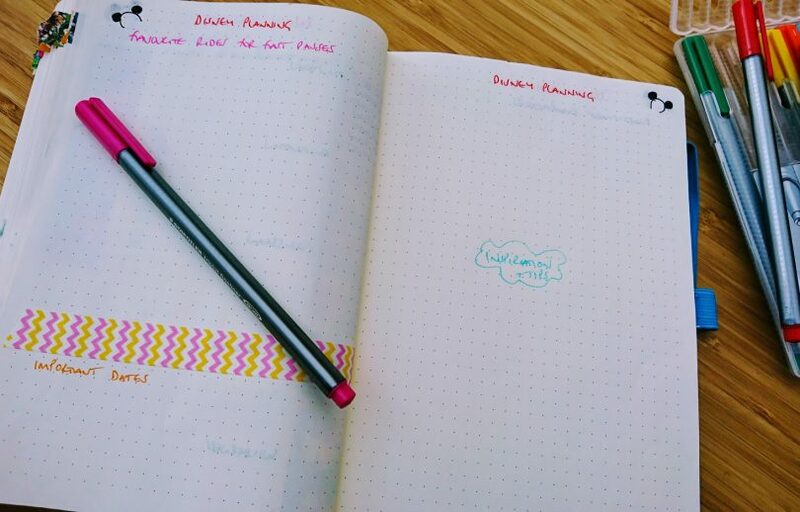 The planning may seem a lot, but it actually enables you to have more time available to you when you’re there and you will have plenty of time to then go with the flow and enjoy it. Hopefully this has given you a few starting points. Most of all I’d say, enjoy the planning. This is all part of the build up and fun! Glad it’s helped! There’s lots to think about, but that’s all part of the fun!